Lovely ladies of the day, bringing in the blessings with the sun rising. I believe strongly in women circles. 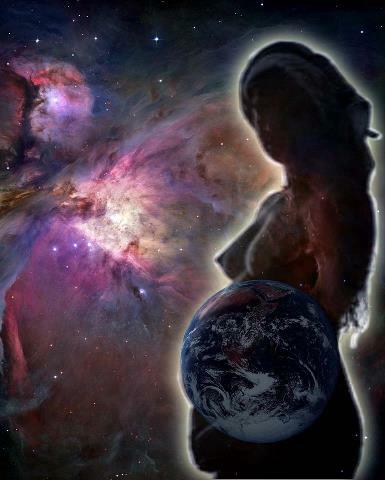 I think women coming together with a heart-felt and expressed focus, in a spirit of understanding, compassion, non-judgement and love – harnesses a certain energy, a powerful and gracious strength, insight and healing, that is coming from the pure and divine, original Mother Love. Ancient wisdom and tradition reveals the jewels and strength shared among women. This day we engaged with this women-love in solidarity for One Billion Rising. With a gentle but strong voice, a graceful and loving stand – we shared with each and danced, meditated and drummed our spirit into the open and magnificent space. THAT IS ONE BILLION WOMEN. 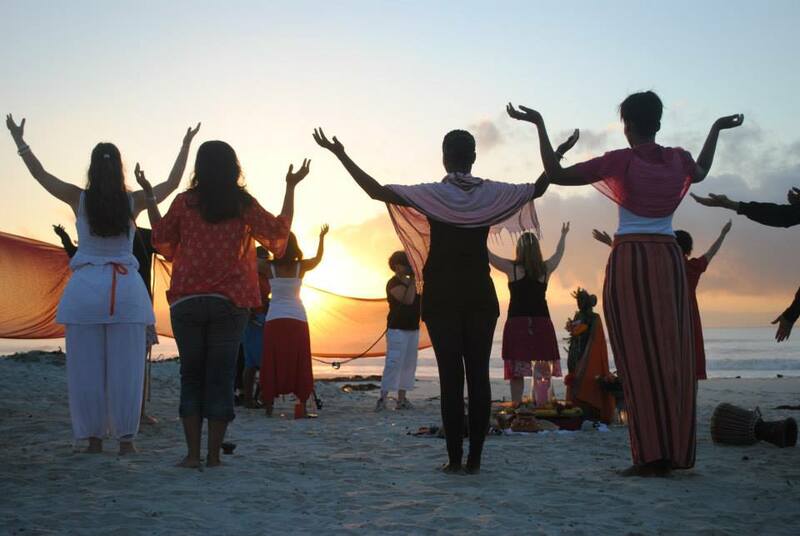 IN 2013, ONE BILLION WOMEN AND MEN SHOOK THE EARTH THROUGH DANCE TO END VIOLENCE AGAINST WOMEN AND GIRLS. IMAGINE, ONE BILLION WOMEN RELEASING THEIR STORIES, DANCING AND SPEAKING OUT AT THE PLACES WHERE THEY NEED JUSTICE, WHERE THEY NEED AN END TO VIOLENCE AGAINST WOMEN AND GIRLS. 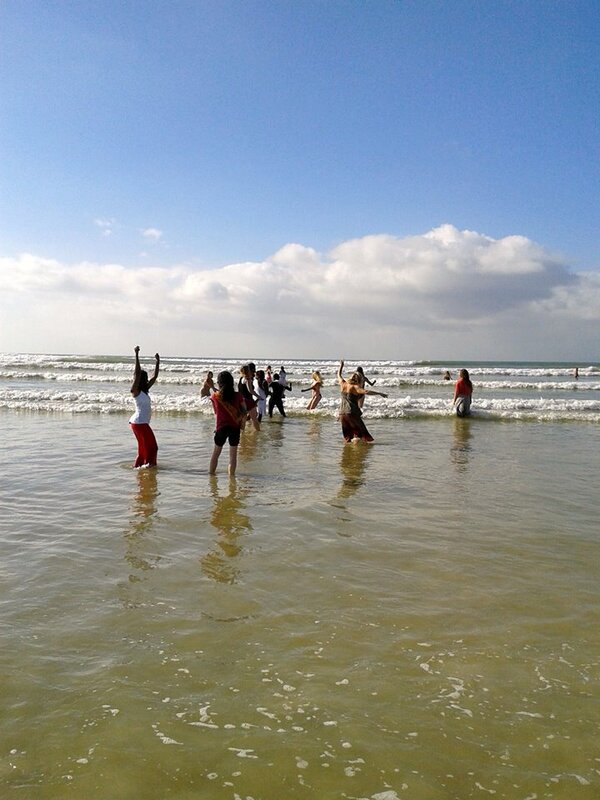 Drumming accompanying our offerings of gratitude into the ocean. “It is a day out of the month on or near the new moon to step out of a kind of world that keeps us occupied. 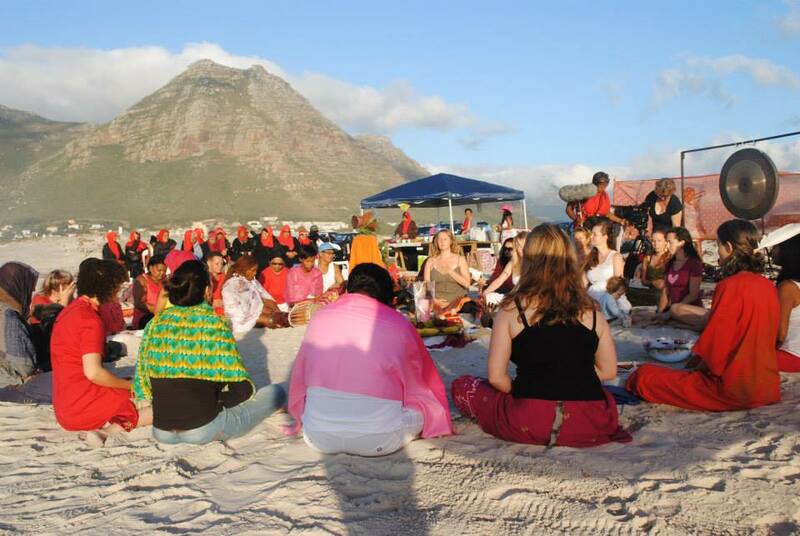 Inside the Red Tents we give ourselves time to remember who we are at our very core, honoring that to do that remembering we must turn from our identities and roles towards the innermost temple of our own hearts. Come into the Red Tent and stop. In the quiet and the company of wonderful women, feel. In what you feel, there is much that is waiting for you”. Beautiful people, filled with purpose and love. 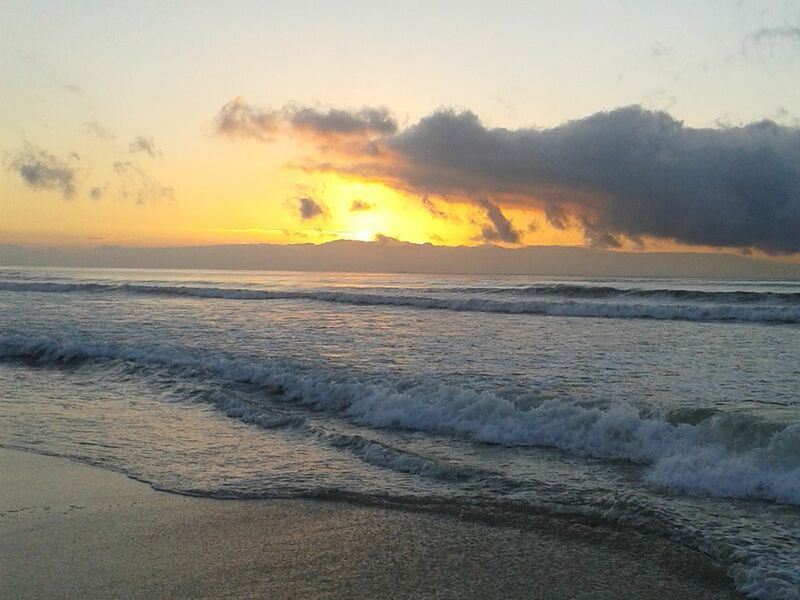 I came away feeling inspired, refocused, revitalised and knowing that this is important and more needs to be done. 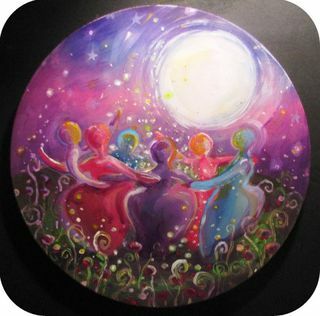 I say it again – Women Circles are so important! So healing! So supportive! And so much fun! Thank You Red Tent Cape Town! Full circle of our ladies gathered. 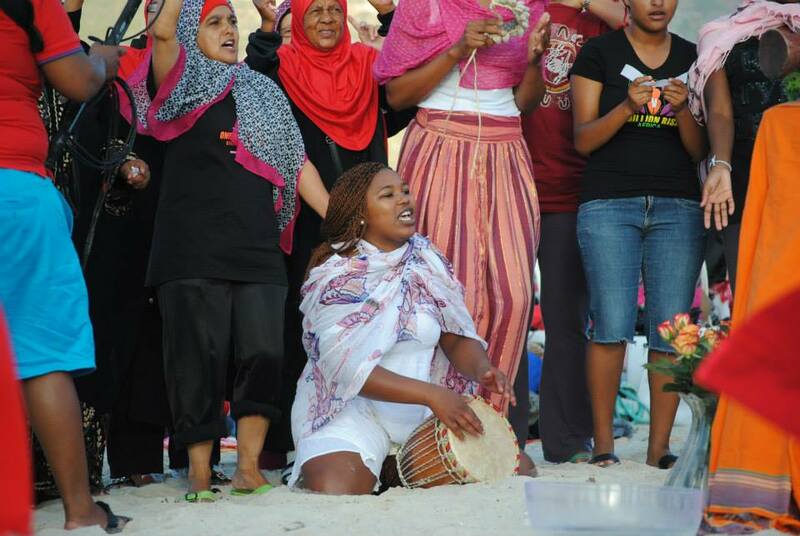 Drumming to a chant of Women Healing, creating a world of feeling. 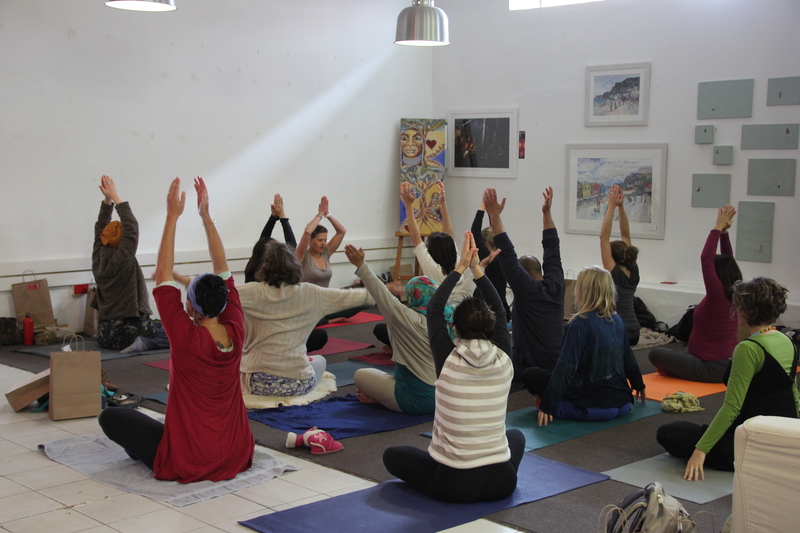 On 28th September we held our pilot “Natural Pregnant Event”. 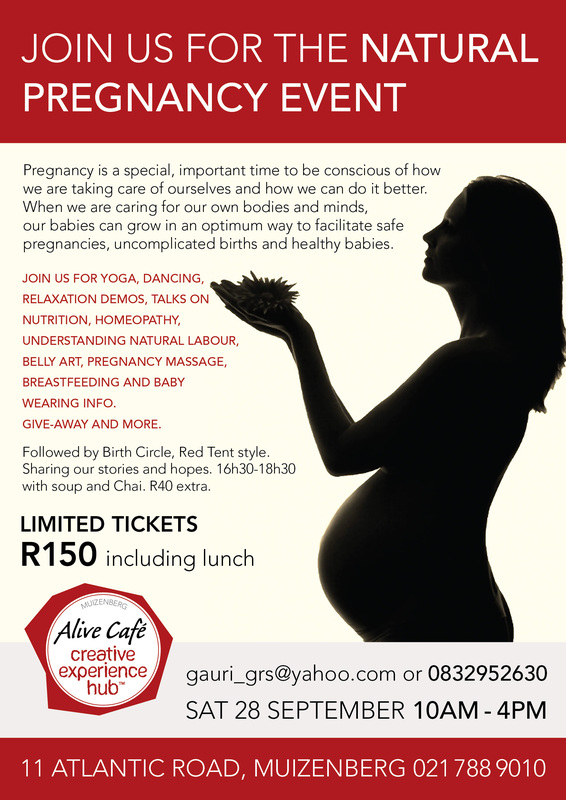 My aim and vision was to make it a special nurturing day for pregnant moms and those interested to learn about gentle and natural ways to keep ourselves healthy during our pregnancy and birth. I know there are a lot of classes, magazines and experts out there with pregnancy information – but I wanted this to be special. I wanted moms to feel treated and special being there, I wanted information to be unbiased, non-judgemental and supportive, empowering and trusting for moms to feel faithful, proud and confident in their bodies. I wanted to promote awareness of natural resources, natural products and natural services available to pregnant moms and babies. In line with respecting and honouring earth’s resources, avoiding unnecessary chemicals and respecting traditional, cultural practices of pregnancy and birth care. I have been pregnant, work with pregnant moms in antenatal clinics, wards and delivery rooms and at home – I know how important support is for a pregnant mom – and I wanted to create an environment of like-minded supportive women. Out of the many tests, exams and scans pregnant moms are routinely subjected to – I feel support is as important in maintaining a healthy and happy pregnancy and preparing for a satisfying and healthy birth. My interest and passion has evolved from my own birth experience – where I experienced for myself the power, beauty and potential BIRTH has for each women. It changed my path from holistic medicine (I was studying medicine at the time) to holistic midwifery care. Though I completed my medical studies my interest remained supporting pregnancy and birth. And now I am on the dawn of starting my own Women’s Holistic Healthcare practice – so I launched this initiative with a Natural Pregnancy Event! My research has shown that the most important time in a person’s life is the first 9 months in the womb! – according to prenatal psychology and neurological development. This became the slogan of this day’s gathering as pregnant moms came with genuine and sincere interest in nurturing their pregnancy naturally. 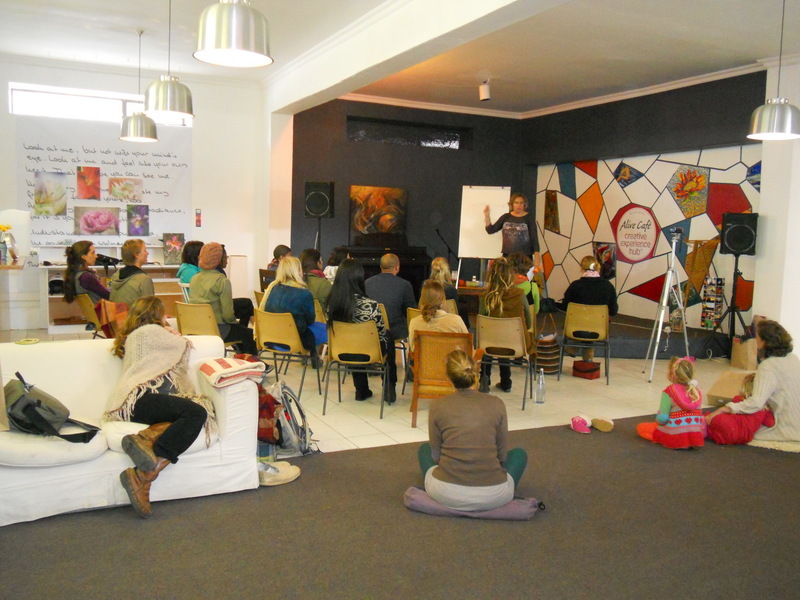 Rebecca Sturgeon speaking about homeopathic remedies for pregnancy, birth and after. More than 30 people came – pregnant, people who support pregnant women (midwives, doulas, breastfeeding consultants), parents to be, fathers and birth photographers! Ladies pregnant with their first, second and fourth babies came! I made sure we had goodie bags packed with flyers of natural information, plenty samples, vouchers and snacks! We had a wonderful response from sponsors for this and had lovely prizes to give away too! For example – baby carriers, natural baby and pregnancy skincare products, teas, Tens pain-relief. We started the day with pregnancy yoga with Lila yoga (Nicole Panzer). People loved it by the comments and it was a wonderful, self-connecting and relaxing way to start the day. Pregnancy yoga helps us to tune into our bodies, feel our selves and our transforming bodies with baby as well as strengthen and tone our bodies in preparation to carry a pregnancy and birth with ease. 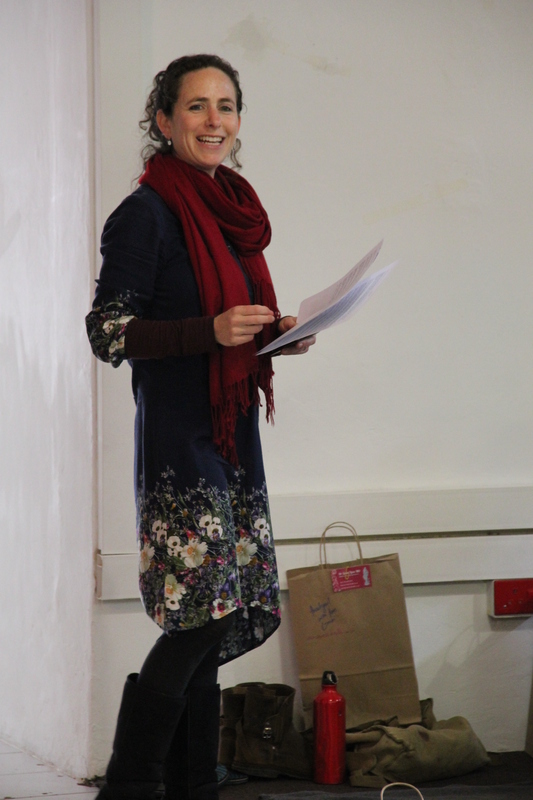 Rebecca Sturgeon gave a very informative talk on homeopathy – how it works, and various practical remedies very useful in pregnancy, labour and postpartum period. She shared much information that she has gathered from her experience in working with women over the last 20 years. I discussed “Understanding our pregnant and labouring body” giving a unique insight into how to provide and support the natural progression of labour, the way hormones interact and proceed – while understanding and trusting our bodies to give birth. Speaking about the biological orchestra of labour. 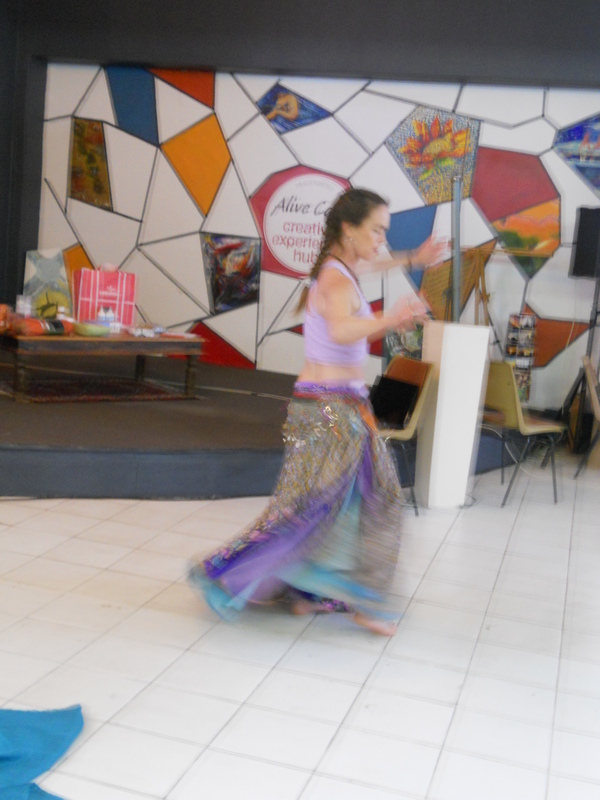 This was followed by a dynamic and lovely belly dancing performance and workshop. Belly dancing originated as a pregnancy dance. Getting in touch with our bodies, curves and experiencing ways to move that are beneficial for a healthy pregnancy, preparing for labour and useful labour moves too! Julia from Alive Dance studios – bellydancing! By then everyone was ready for lunch! Radharani’s Catering served a sumptious, vegetarian nutritious and delicious lunch. And everyone was happy to relax, chat, meet other moms and eat. There was baby wearing consultants available to show, sample and practice different baby wearing techniques as well as various different carriers. La Leche League leaders were also available to chat and ask any breastfeeding advise and to familiarise for future contact once baby is born. Carol Shaw continued with a good, informative and interesting presentation on nutrition, how to best assimilate different food sources, and valuable practical insight that left people wanting more info! This worked well with the Superfood trail mix samples (cacoa bits, goji berries, gooseberries and brazil nuts) in everyones goodie bag. Lana Petersen has been a doula for over 10 years and has doula clients in hospitals and home. Her experience and intuitive “space-holding” and unassuming presence and care during a birth made her the perfect person to speak about “The Role of a Doula”. Doulas are ladies that support, protect and are there for moms in labour. They are trained, do not assume a role of a midwife and research supports that the presence of a doula lowers transfer, intervention and caeserian section rates. And we ended the full day with a relaxing and centring visualisation that focused on connecting and communicating with our baby within as well as receiving communication from our babies – spoken gently to beautiful soft sounds. Visualisation is a powerful tool to relax and focus, identify stress and communicate with our bodies and our babies. Frequent fetal love breaks are very important and helpful in pregnancy as our babies are sentient and receive and react to our emotions in utero. Starting off to communicate and interact with our babies in utero is a wonderful way to start bonding as well as calm and surround our babies with good hormones and feelings that they get used to from then. To make it a extra special time for moms – we had pregnancy massage available in a private room at a discount price. 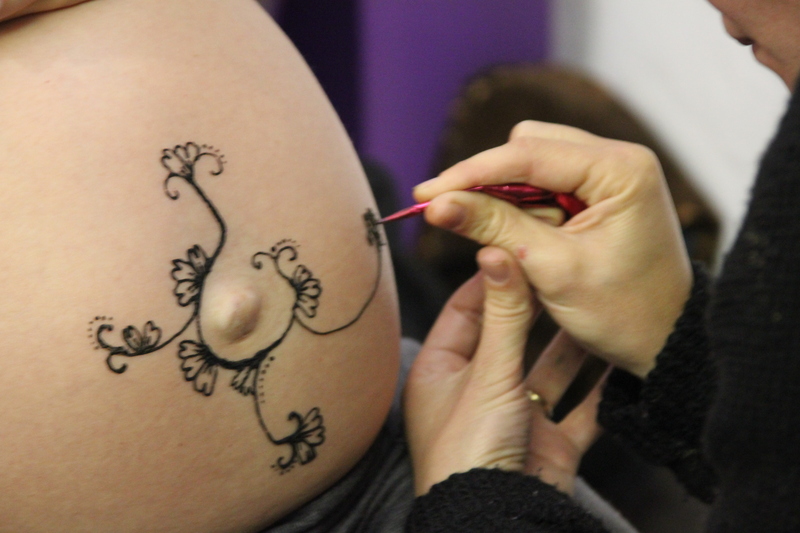 As well as some birth art – decorating bellies beautifully to honour our creation. Thanks to Tara for the massage and Andrea for the art!